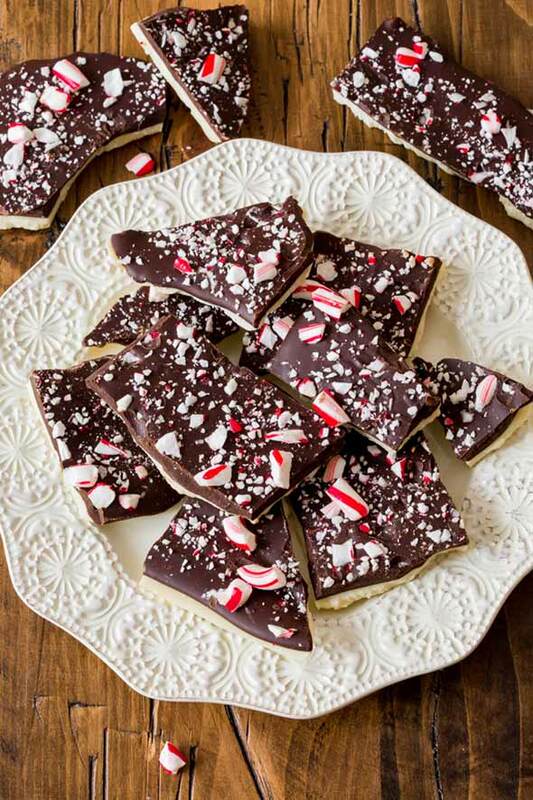 In case you’re wondering, nope, you don’t need to temper the chocolate for this candy cane bark. 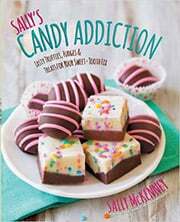 You could, but author Sally McKenney opts to simply melt it without tempering, mostly just to save time and patience. It’s but one of the reasons we love her. 1. Line a large rimmed baking sheet with parchment paper or a silicone baking mat. Make sure you have room for the baking sheet in your refrigerator. 2. Melt the white chocolate with 1/2 teaspoon oil in a bowl in the microwave on low or in a heatproof bowl placed over but not touching a pan of gently simmering water. Remove the chocolate from the heat and stir in 1/4 teaspoon peppermint extract. This candy cane bark recipe got me ready for the holiday season. (I was looking for my Santa hat to go with this recipe!) I sometimes get intimidated with homemade bark recipes, as they haven't turned out well for me in the past. I have burned and seized chocolate and also just failed to create what I consider a quality product. However, this recipe restored my faith in chocolate bark recipes. This recipe only had a few ingredients, so I figured I would splurge a bit on really high-quality chocolate. Finding a good quality semisweet chocolate was harder than I expected, but I felt like the chocolate melted quicker and produced a higher-quality result. This was a simple recipe to follow, and the chocolate acted correctly. For the chocolate-melting process, I am a fan of the quickness and effectiveness of the microwave. I put the chocolate in a microwave-safe bowl on a plate for 25 seconds at a time. I continued this process 3 times, and the chocolate was ready to spread. Between each repetition, I stirred the chocolate to ensure it was melting in a consistent manner. The chocolate was nice and shiny with a velvety taste and texture. Spreading the chocolate onto the sheet was pretty easy. I plopped it onto the middle of the parchment paper-lined sheet and spread it evenly to the corners. I would suggest that for the first layer, one wait around 25 minutes for it to almost harden. The white chocolate layer was not quite set, and it leaked a bit into the semisweet chocolate layer. My clue that the chocolate was set was that it was very matte-looking and had lost its sheen a bit. I was impressed that the chocolate almost peeled off of the parchment paper when it was set. The edges told me that the chocolate was ready to be eaten. For the candy cane portion, I couldn't actually find any candy canes in the store, which surprised me since decorations were already in stores. I used round peppermint candies as a substitute and used the back of a large knife to smash the peppermint candies. I made pieces that ranged from 1/2 an inch to almost dust. This was a nice touch because the large pieces showed that it was peppermint and the dust provided an extra oomph to the overall peppermint flavor paired with the peppermint oil. Overall, this recipe was a crowd favorite. I handed pieces out to the college students I work with. Before I knew it, all the pieces were gone. They devoured it. A few of my students requested some for the holiday season. I love the peppermint flavor in this chocolate and the deep, rich flavor of the different chocolates. I will be making this recipe for my family and friends as a nice holiday snack. I think this bark could easily be thrown in a cup of hot chocolate and be a perfect cold, snowy day treat. I love this recipe and will repeat it multiple times! My daughter and I tasted this candy cane bark at the 30-minute mark, and I had to rush to put it back in the fridge, as we were on our way toward eating an entire half tray just standing there while we said how much we liked it! It would make a good gift. I could see varying the semisweet to be darker or mixing chocolates to preference. I could also see varying the amount of peppermint flavoring depending on how strong your peppermint extract is. You can easily do this by tasting a little after adding since thereʻs no eggs or anything that might cause illness called for in the recipe. You need to crush at least 3 candy canes, but I could see trying to crush more—you need more just in case you spread the candy canes more broadly across the chocolate. Candy Cane Bark Recipe Recipe © 2015 Sally McKenney. Photo © 2015 Sally McKenney. All rights reserved. All recipes and photos used with permission of the publisher.